As of February 10, 2009 this event is completely Sold Out. We apologize for any inconvenience if you were unable to purchase a ticket. Richard Dawkins will be speaking at Michigan State University for the 2009 Worldview Lecture Series on March 2nd. His lecture is entitled The Purpose of Purpose. We will also be arranging a carpool to travel to this event. If you noted your interested in group transportation on the registration page you will receive an email by February 20th about carpool arrangements. If you did not note your interest on your registration form, but would like to be included in the carpool please email Jennifer Beahan.  Tickets purchased through CFI Michigan will be available for pick-up at CFI Featured Events (in Grand Rapids) on January 28th, February 11th and February 25th. Tickets will also be available for pick-up the night of the event, if you cannot attend one of these Featured Events. If you would prefer your tickets to be mailed to you prior to the event please contact Jennifer Beahan — jbeahan@centerforinquiry.net or call 616-706-2029. Richard Dawkins is a British ethologist, evolutionary biologist and popular science writer. Dawkins first came to prominence with his 1976 book The Selfish Gene, which popularized the gene-centered view of evolution. He has since written several best-selling popular books, and appeared in a number of television and radio programs, concerning evolutionary biology, creationism, and religion. His most recent book The God Delusion was on the bestsellers list for almost a year.